We turn your dreams in to reality. Develop a mobile app with Webstrio Technologies and fulfill your dreams. We have a great team to build excellent mobile apps as per your requirement, budget, and timeline. Mobile application development is indeed necessary for all business nowadays, and has its roots in the traditional software development. With the set of processes and procedures involved, mobile apps are developed for small, wireless computing devices including smartphones or tablets to keep your business promoted. Mobile application codes are specifically written to take advantage on a particular mobile device. By building creative apps for a particular device, one can ensure optimum performance. As the mobile development efforts are more into practise these days, the future relies on browser-based applications that are device-agnostic. To cope with the increasing demand of mobile apps, we Webstrio Technologies, as a mobile app development company has become your accelerator in designing and developing brave mobile applications. Our mobile app development team with creative and knowledge expertise are well accomplished to meet your individual demands and business requirements. We create highly customized advanced mobile applications with the help of advanced tools and technology for consumer needs and enterprises. 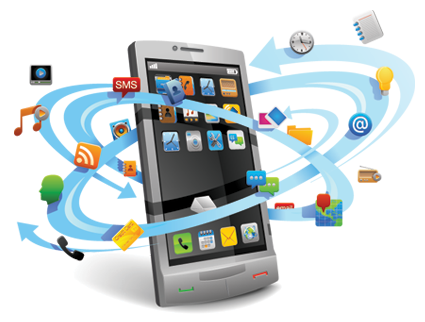 Our rich experience and former works showcases our excellence in the mobile app development field. We, as a mobile app development company have excelled in working with organizations, start-ups, brands and more, by providing quality standard mobile apps of any category. Our main focus is to deliver strategic planning and industry’s best product based on the current market trends. Apps we build showcases our excellence and knowledge expertise we had achieved during the past years. We aim at converting your vision to reality and our dedicated team is capable to meet your specific requirements. We spend quality time in identifying your requirements, planning and research, and we understand every mobile app deserves special attention. Unique designs and intuitive experience are always on demand. Keeping that in mind, our designers thrive hard to build creative projects that enlighten your business to stand ahead of the competitors. We follow newer ways of approach that help you achieve target customer retention rate and maximum app downloads. A lot goes through the developing phase. Webstrio Technologies encompasses a team of talented developers that excels at each of these levels to assure that the resulting product meet all your needs. We value customer demands and build apps to credit and enrich your business standard. Webstrio Technologies testing services include numerous test modules that ensures the quality of the mobile app developed. A team of quality analyst assures the software has no bugs and checks the quality state of the product before it is delivered to you. Build a mobile app that makes the most out of iOS technological advancements, focused not only to drive your business lucrative but also performance oriented. Our professional mobile app developers design and develop mobile apps that are user-friendly and easy-to-use. We embrace the advancements of Android to design and develop Android apps that serves a myriad of devices, no matter in health care, education, sports, social media and more. Our passionate and professional Android developers crafts high quality mobile apps that best suit your needs. One of the biggest challenge app developers face is to build mobile apps that can be used on multiple mobile platforms. As technology advances, it has now become necessary for various mobile devices to operate on diverse platforms, making use of different operating systems. That includes either building an app working on a native platform or developing the app that allows integration with various native platforms. We develop cross platform mobile development tools increasing the speed of app development and reducing the initial development costs, that work flawlessly across iOS and Android. We’re here to help to out. No worries, it’s confidential and secure.